Tan Organic it's an Eco certified self tanning oil. Ginseng, Chamomile, Beta Vulgaris, Ginger Root extract, Summer Lilac and thyme. It has no artificial ingredients or colours and because of the high content of Aloe Vera (84%), it's extremely hydrating which makes it suitable for people with sensitive skin. 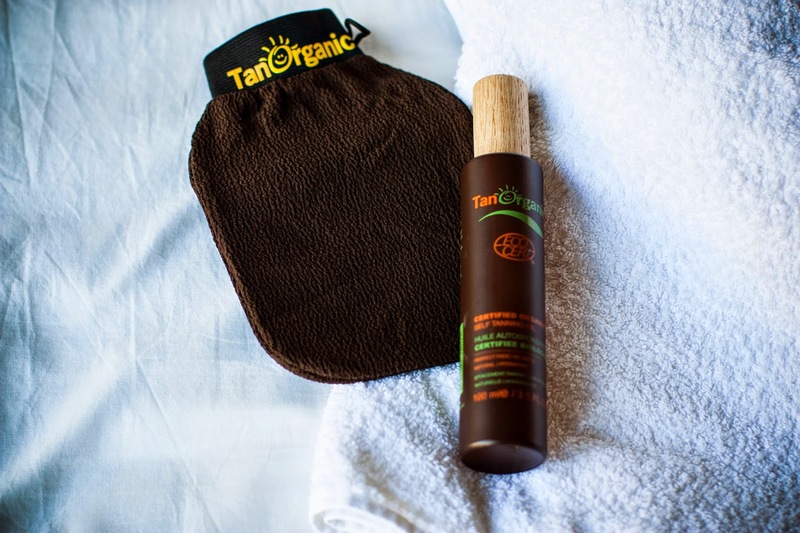 When we received Tan Organic products couple of weeks ago I was really curious to try it out. I have a very dry skin and I suffer from KP (Keratosis Pilaris) so I use self tanning product most of the time to hide my little red dots on my body and also to give it a bit more moisture. I used the Tan Organic oil last weekend and I was really impressed! From an easy application, no smell and overall result I think I found myself a new favourite self tanning product. Although it's an oil based product, it dries fast and doesn't leave you feel sticky. Comparing Tan Organic to other products I used, it has no 'self tan' smell, just a very pleasant zesty fragrance. I was impressed with the colour and how natural it looked. After applying one layer it turned out the perfect shade for this time of the year. It gave me nice subtle sun kissed glow without looking too fake. But for a night out or once it gets a little warmer I will use 2-3 layers to achieve a darker shade. Overall my skin was smoother and felt nicely hydrated. I even received compliments from friends on how good my tan looked. It wears of gradually without being too streaky. You can also use the exfoliating glove to wash it of if you like. 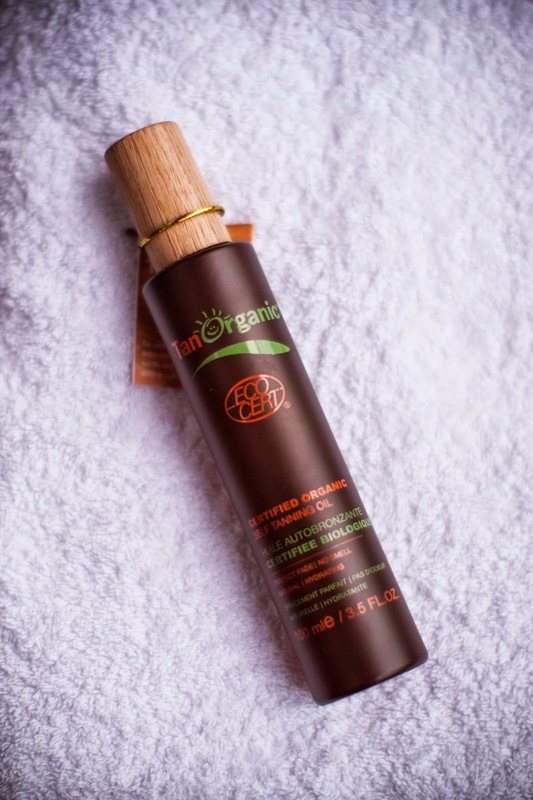 If you like being a little bronze every once in a while, give Tan Organic products a go. I will definitely use them again! or in one of their stockists (see the full list of stockists on their website).